Last year my agency decided it was time that we all carried a patrol rifle (as in all officers both uniformed and detectives). 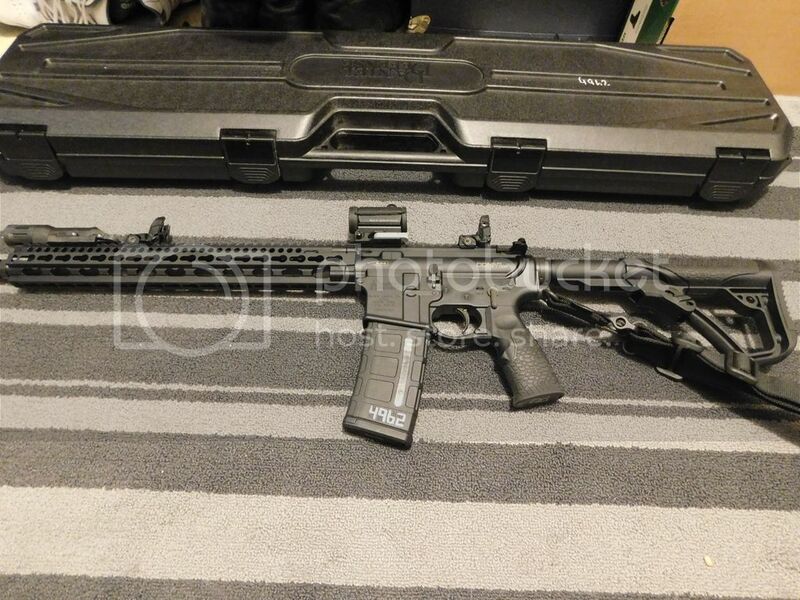 The Lieutenant in charge of the firearms program went to Daniel Defense and got the estimate for seventy M4 rifles along with the iron sights, aimpoint and weapons lights. They then had another lower estimate with just the iron sights and the light and finally just the iron sights. The Chief then went in front of the city council and requested $235,000 from the city council. That was the sums required for the top estimate. Admin was prepared to then ask for the lower sums. Everybody figured the council would freak. Instead it passed without a single squawk. So I now carry a patrol rifle with a three point sling, three magazines and a carrying case. Nice rifle. Too rich for my personal finances, but it's kind of neat to have a weapon from the highest bidder. Too rich for my personal finances, but it's kind of neat to have a weapon from the highest bidder. Sounds more like the only bidder. At least the different package options your LT looked into added additional capability with the addition of different accessories, justifying the added cost. 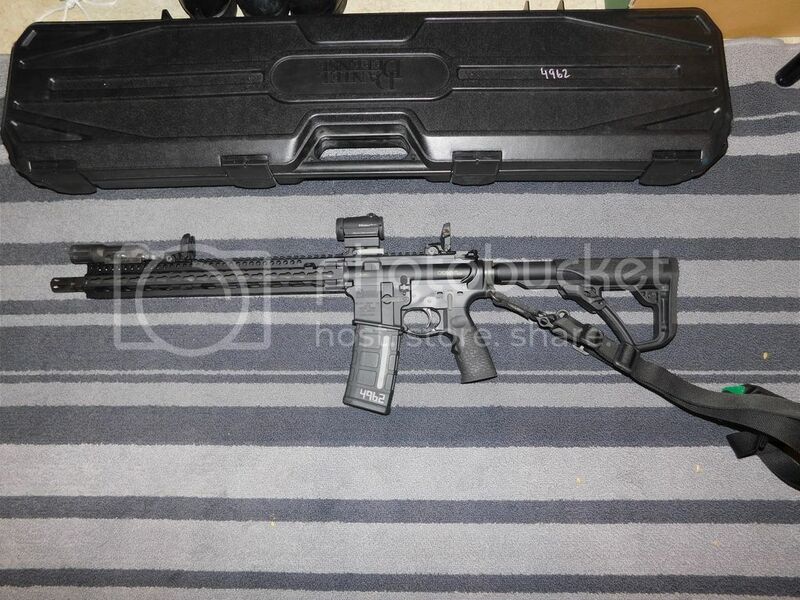 Looking at just the rifles, if the decision was between the $1,700 DDM4V11 pictured and, say, a $3,000 MR556A1 that both met the same accuracy and reliability standards, wouldn't it be common sense to go with the cheaper DD especially if buying in bulk as police departments and militaries often do? This is something I've never understood about the whole "lowest bidder" disdain. Last edited by Jcordell; 05-21-2018 at 06:56 AM. Well it was a nice surprise that we got the funding approved and could purchase the "wish list". My department is a longtime practitioner of "do more with less". Less manpower, less pay, etc. So when something like this happens it's a nice change of pace and totally unexpected. I didn't know DD makes their rails in Keymod. I've only ever used side or bottom mounted lights on a rifle, how do top mounted ones like this work out? I feel like the obstruction to the sight picture would annoy me. Last edited by Jcordell; 05-22-2018 at 03:12 PM. It's not that bad. The primary sighting apparatus is the Aimpoint and the light doesn't interfere with that. I've taken the rifle out a couple of times when on duty and I find the Aimpoint is very handy. I can keep both eyes open and maintain some peripheral vision. That red dot makes for quick acquisition. The light is easy to operate with my right thumb and easy to reach. I'm a lefty by the way. It's interesting talking to younger shooters about the AR-15 platform. I fired my first AR-15 in 1982 when I was fourteen years old. Strictly Vietnam Era milspec (approved for civilian use). I joined the Army in 1986 and my M-16A1 that I carried in basic training was manufactured in the late sixties/early seventies by Hydra-matic. A General Motors company. Talk about a basic rifle. I look back on that old rifle and smile. Here is a link to an article about the Hydra-matic M16's. The company made 469,217 M16A1s. Many people don't know this. I was envious off all the other privates in my platoon with their Colt made M16A1s, but I never had any trouble with my old veteran rifle. Many of the newer Colt rifles broke. Especially parts in the lower receiver. My old warhorse just kept going. We had none of the extras that are just taken for granted in 2018. I remember the modular concept started in the 90's and those of us assigned to the 10th Mountain Division in 1998 received some of the first M4 carbines but with none of the extra accoutrements. Only the division's long range surveillance detachment had the flashlights and the forward pistol grips. The rest of us just had the basic issue. The modular concept really took off after 9/11 and the start of the fighting in the Middle East. That's typical though. Wars loosen the purse strings and all the goodies start to flow to the average soldiers. All the extras are nice and I'm a big fan of the light mounted onto my Glock 19. It's just interesting reading all the responses. When I was twenty years old (1988) the idea of a laser sight mounted onto an At-15 was something that only rich people and Hollywood did. Maybe the very top level SF operators. Last edited by Jcordell; 05-22-2018 at 03:28 PM. It's the same thing with cable, cellphones, etc. As technology becomes smaller and more affordable, more people can get access to them. Last edited by Excalibur; 05-23-2018 at 09:02 PM.